Bruin Elite is a giving program that has been established to provide essential financial resources and support for the UCLA Women’s Basketball program. You are invited to support Bruin Elite by making a tax deductible donation at any level. All gifts received through the Bruin Elite Fund will be used at the discretion of the head women’s basketball coach. All funds received are restricted to enhance the operational needs of UCLA Women’s Basketball. We simply cannot achieve our goals without your help. 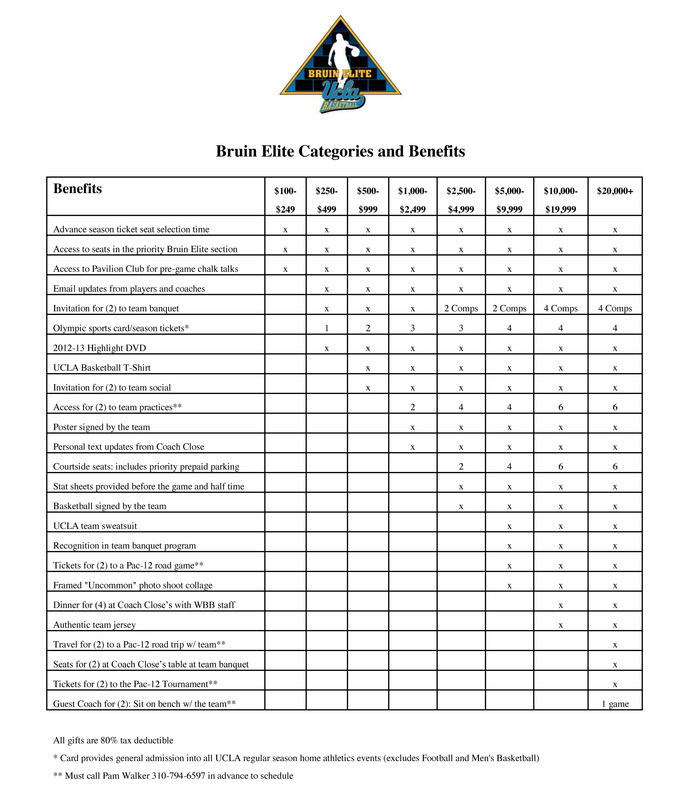 Want More Information About the Bruin Elite?